Utilizing the same patented ambidextrous functionality as its predecessor, the Raptor-LT handles are machined from 7075 aluminum, MILSPEC Type III hard anodized, then over-molded with high-strength, fiberglass reinforced polymer for the ultimate combination of strength, weight, and durability. Compatible with AR15/M16-pattern rifles, the Raptor-LT is available in black, flat dark earth, and grey, all designed to match standard Magpul® color offerings. Like all Radian products, the Raptor-LT comes with a limited lifetime warranty, and is 100% designed and manufactured in the USA. great product, works excellent, the radian fde matches magpul perfectly. Happy to see a good product come out of my home state of Oregon. Thanks for sharing your feedback, Noah. We're so glad you're satisfied with your purchase. Cheers! 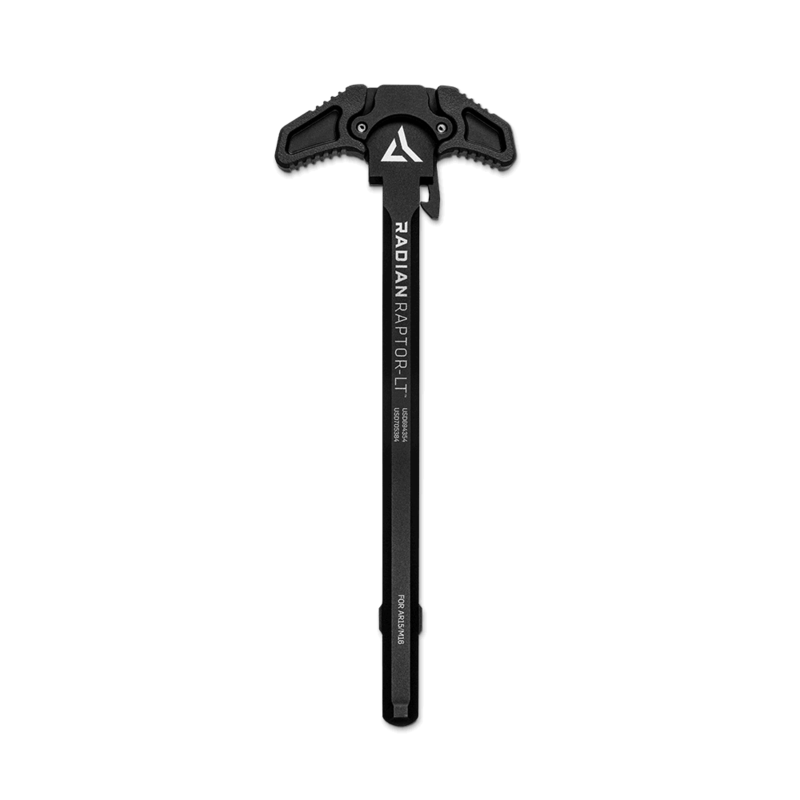 The Radian LT charging handle is a quality product, and is a great addition to my rifle build. Also, as usual, the service from AT3 was exceptional. I have purchased nearly all my parts for this build through AT3, because of their level of customer service, and will continue to do so! Good price great service better product. Thanks for sharing your feedback, Anthony. We're glad you're satisfied with your purchase. Cheers! Have yet to install it on my new build, but I a, confident it will do its job fine. Thanks for sharing your feedback, Derek. We're glad you're satisfied with your purchase. Cheers! Radian LT charging handle for my home built ar 15. The Radian LT was perfect fit. Works as smoothly as the standard sized handle that ive been using. However the over sized ambidextrous handle is perfect for engaging under my tactical scope.